Bill Kolasky, associate editor of the American Bar Association’s Antitrust magazine, interviewed Seventh Circuit Chief Judge Diane Wood for the spring 2017 issue, published on March 27. 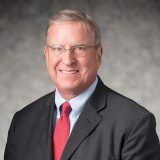 In the interview, conducted on Jan. 12, Judge Wood discussed the benefits to consumers of the global spread of competition law over the last 25 years, as well as some of the issues the proliferation of those laws has caused for businesses that operate in multiple jurisdictions. She also offered her views on how the seeming backlash against free trade and globalization both in the U.S. and Europe may affect competition policy and what actions governments might take to mitigate some of the concerns being expressed.